The Arleigh Burke-class guided-missile destroyer USS Ross (DDG 71) fires a Standard Missile 3 (SM-3) as part of an at-sea demonstration showcasing its ability to intercept a short-range ballistic missile target, Oct. 20, 2015. The Maritime Theater Missile Defense Forum wrapped up its At Sea Demonstration 2015 event Oct. 27, culminating nearly four years of planning and three weeks of at sea operations in the North Atlantic. MTMD Forum Chair, Rear Adm. Jon A. Hill, the U.S. Navy’s program executive officer for Integrated Warfare Systems lauded the multi-national test team and operators that made the successful demonstration happen. While assessment of ship interoperability and the measurement of individual and collective Integrated Air and Missile Defense capability by participating ships was the primary purpose of the exercise, there were a number of significant events during ASD15. Canada, Italy, Netherlands, Spain and United States conducted Surface-to-Air missile firing events; France, Norway and the United Kingdom conducted Radar and Combat Systems Development Trials; and the United States, with the assistance of its Forum partners, conducted the first ballistic missile defense capable Standard Missile 3 (SM-3) launch in Europe. 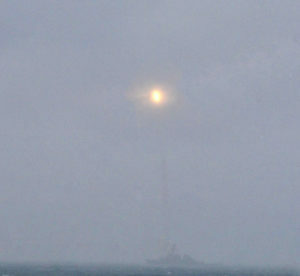 Significantly, ASD15 included the first international ship (Netherlands and Spain) transmissions of ballistic missile defense cues to a U.S. Navy guided missile destroyer. Finally, Italy, the United Kingdom, the Netherlands, Spain and the United States were all able to demonstrate their ability to contribute to NATO’s BMD link architecture. Hosted by the United Kingdom and commanded by Commodore Frank Sijtsma, Royal Netherlands Navy, the MTMD Forum’s maritime Task Group successfully assessed the Forum’s ability to build a common tactical picture; shared situational awareness; executed coalition-level mission planning and engagement coordination; conducted force level pre-planned responses and as a result are now better able to understand individual and collective capabilities and limitations. Both Australia and Germany provided personnel to the maritime Task Group. Established in 1999, the MTMD Forum is facilitating the ability of participating nations to improve interoperability and enhance individual and collective maritime integrated air and missile defense capabilities.